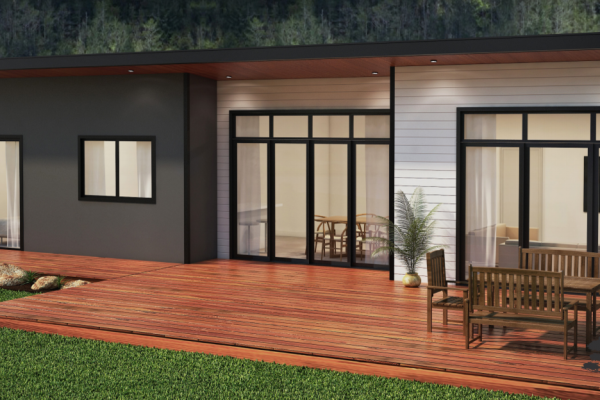 Our HIKUAI design is a great balance of style and functionally. 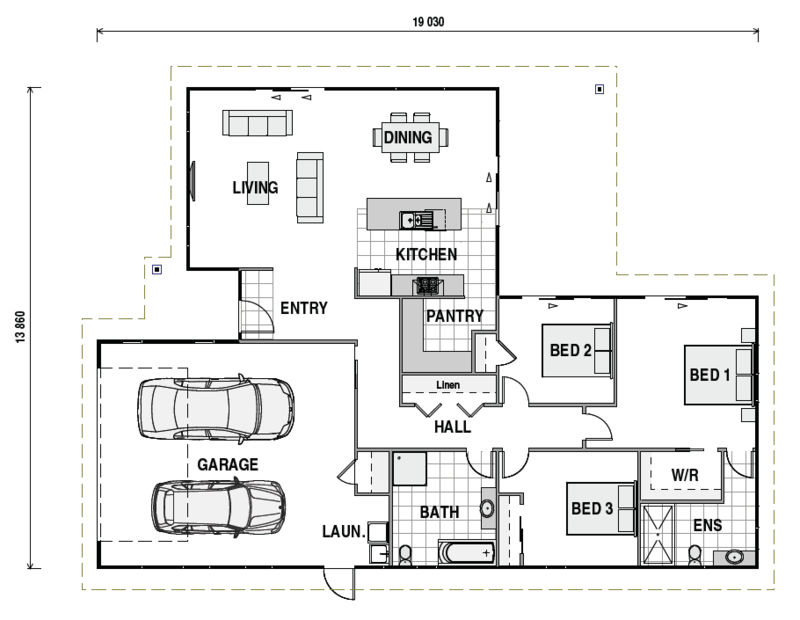 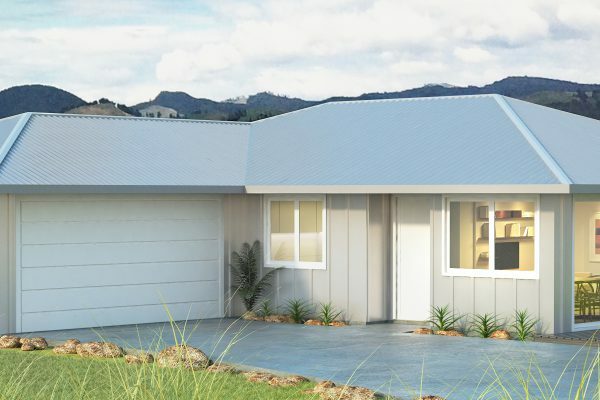 Comfortable indoor living areas, ample storage space and a covered outdoor living area (perfect for summer bbq’s), make this a fantastic family home. 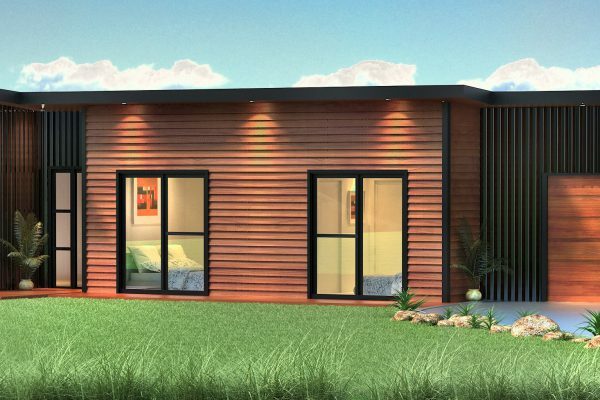 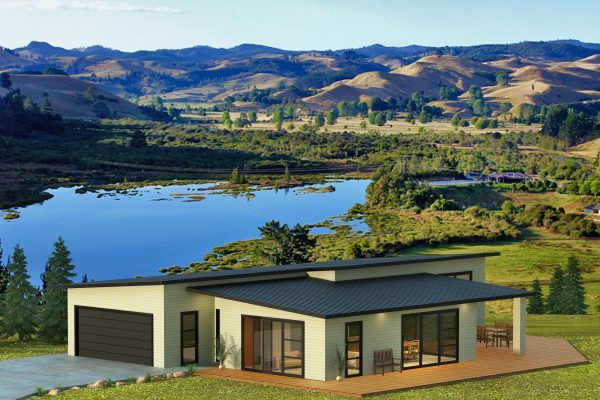 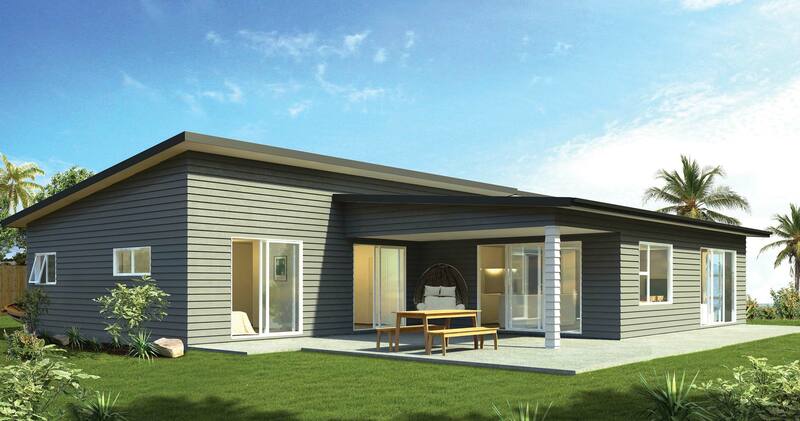 The sleek weatherboard look and modern mono pitch roof line compliment this truly eye catching home or bach!